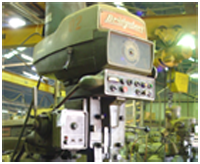 A&E maintains a large machine shop staffed with journeymen machinists and utilize over 30 different machines. 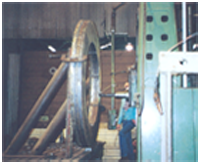 A&E has been in business since 1965, utilizes 30+ machines and has a knowledgeable journeymen machinists. Machining Services at A&E Machine Shop, Inc.
A&E Machine Shop, Inc. has been keeping industry in motion since 1965, specializing in quick turnaround jobs for outages/shutdowns, as well as normal lead time delivery jobs for maintenance and construction projects for fossil-fueled power plants, mining, pulp and paper, steel mill and petrochemical industries. 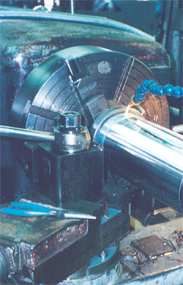 A&E maintains a large machine shop staffed with journeymen machinists who are experienced in large and small machine work, and utilize over 30 different machines to better serve our customers. 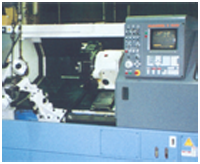 Computerized Numerical Control (CNC) equipment incorporates the advanced technology for precision work along with high power for heavy-duty machining. Our capabilities encompass the design and manufacture of small to large pieces, small batch to high volume, and simple to complex components. Common machining services supplied by A&E include design assistance prototype design, reverse engineering, tool or die manufacture, jig or fixture manufacture and assembly of components.